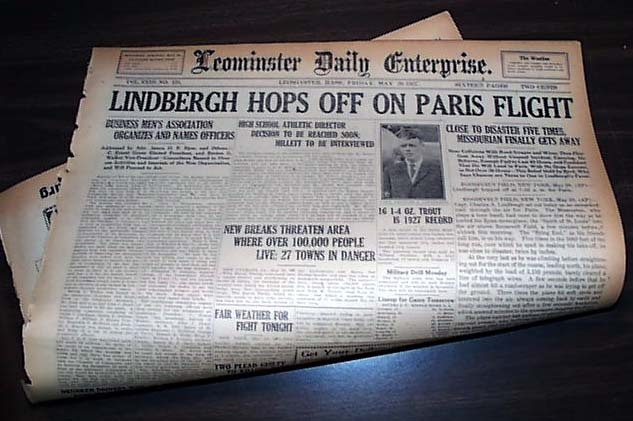 LEOMINSTER DAILY ENTERPRISE, Leominster, Mass., May 20, 1927. 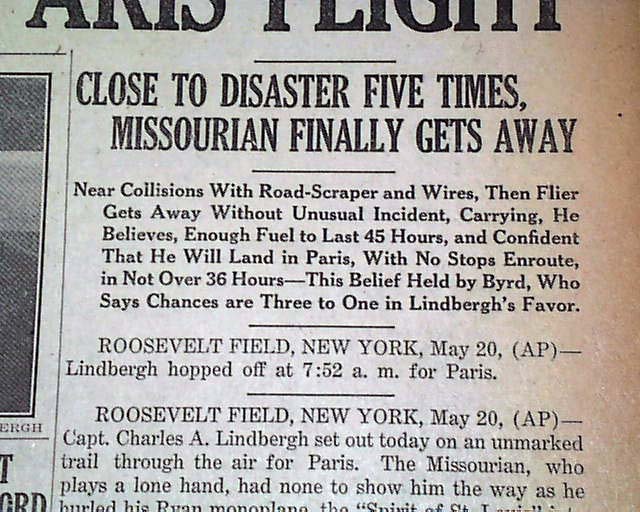 Front page banner head: "LINDBERGH HOPS OFF ON PARIS FLIGHT" & a two line 2 column subhead: "Close To Disaster Five Times. 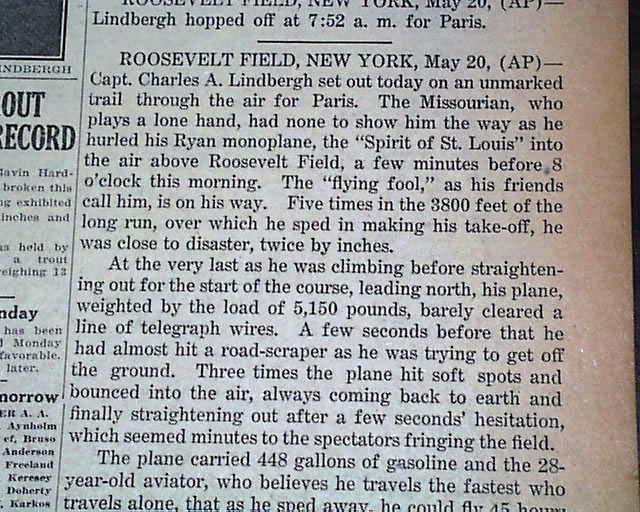 Missourian Finally Gets Away". 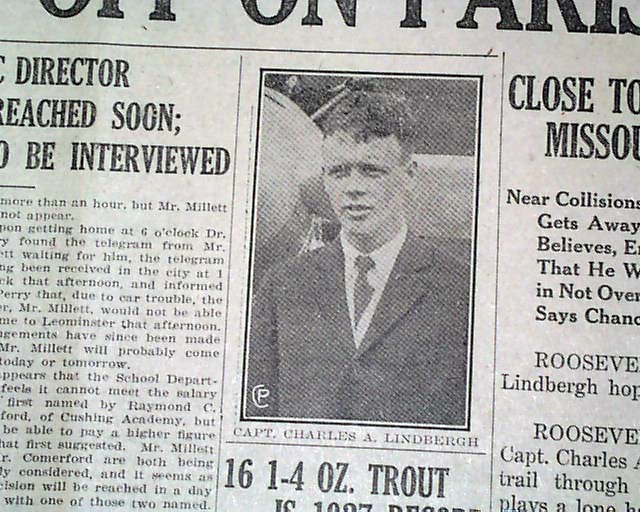 One column photo of: "Captain Charles A. Lindbergh". Other news of the day throughout. 16 pages with some browning at the margins, otherwise in good condition.